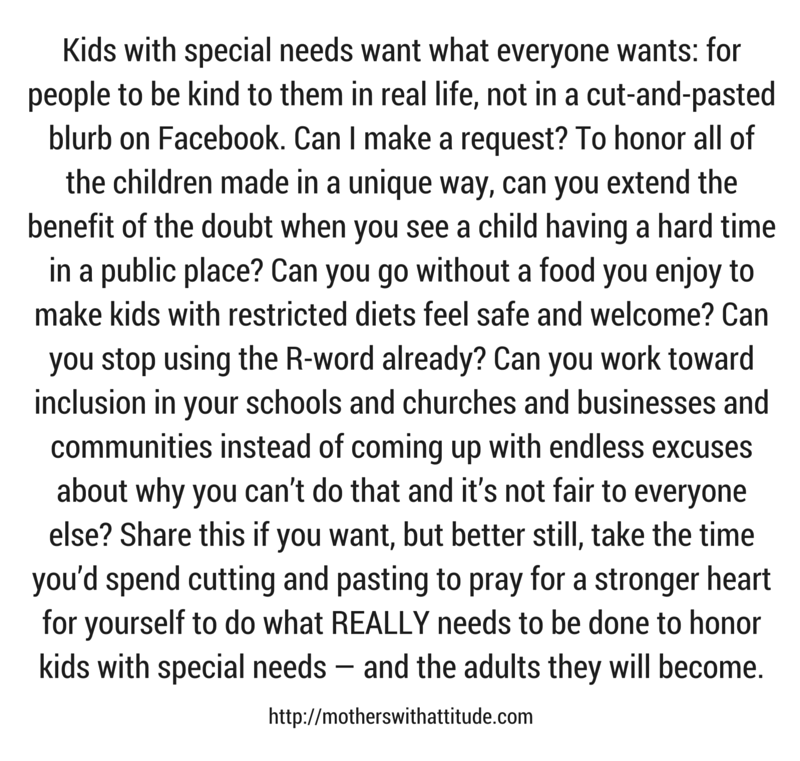 Homework can be a trouble spot for any family, but when the student has special needs, it can be a real ordeal. Even when the child is capable of doing the work, problems with fine-motor weakness, visual processing, organizational skills or frustration tolerance can precipitate a meltdown. Work that's done cheerfully one day may cause problems the next if the child's (or, frankly, the parent's) day has used up more than the usual reserve of patience. • Break the work up into smaller pieces — whatever your child can do without a meltdown becomes one unit, even if it's just one math problem or sentence. Give a reward for each unit completed. There have been days when I've pulled my son through a sheet of math problems by giving him a cracker at the end of every line; probably there have been days when I've given him a cracker after every problem. Maybe for your child it's five minutes of work and then five minutes of GameBoy; maybe you put a piece in a puzzle or take a turn at a game or reveal a piece of a picture with every unit completed. The reward doesn't have to be big to be effective. • If a sheet full of work is overwhelming, block out all but one problem or line at a time. You can cut some paper to make a template that reveals just a small part of a worksheet, or use one or two index cards to frame a problem or line. In a pinch, your hands can frame a piece of the paper, or you can fold the bottom of the paper up and unfold as you go along. • For reading assignments, try sitting with your child and reading every other page, or every other paragraph. If your child really balks, try trading off every line — it's silly enough to catch a child's interest, and at some point he or she will accidentally read two lines and then you can switch to paragraphs. Again, it's a matter of breaking up something big and overwhelming into small, less intimidating pieces. • If writing is a problem due to fine-motor weakness, consider asking the teacher if any of the following is acceptable: reducing the number of repetitions required for things like spelling words; substituting flash-card time for written words or math sums; allowing the child to dictate some answers for the parent to write down; xeroxing work sheets to make them bigger or copying the problems onto graph paper to make writing and aligning easier; and/or overlooking sloppy writing on anything that's not penmanship homework. • Have a variety of cool writing utensils available for homework use, and allow the child to switch after every sheet or even every problem. Papers may be a little messier if you use pen (try gel pens in particular), but homework time may be more peaceful. • Try setting a timer for a length of time that is more than reasonable for doing the homework, and telling your child that whatever time is left over after the homework's done can be used for some highly desirable activity not often allowed. My son is perfectly capable of spending 28 minutes screaming and crying and complaining that there's too much work, it's too hard, he's too stupid, and then in two minutes do all the work with skill, accuracy and understanding. We try to give him something better to do with the other 28 minutes.